There’s nothing quite like the delicious aroma of fish and chips to get the taste buds tingling. Treat yourself and your family to homemade favourites with the Russell Hobbs 3L Deep Fryer. The large cooking capacity allows for enough tasty treats to feed all of the hungry mouths! 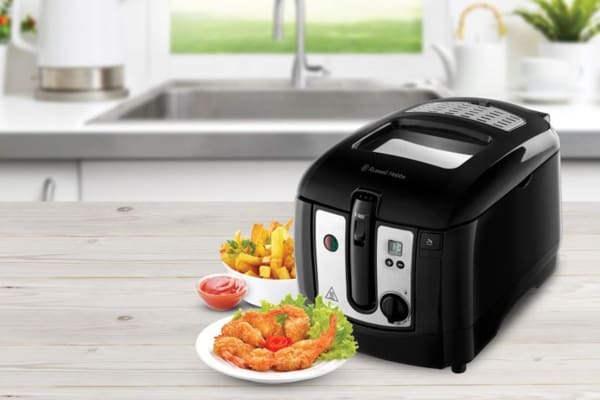 The Russell Hobbs 3L Deep Fryer benefits from a variable temperature control and digital timer which allows to cook food at its optimum temperature and time. 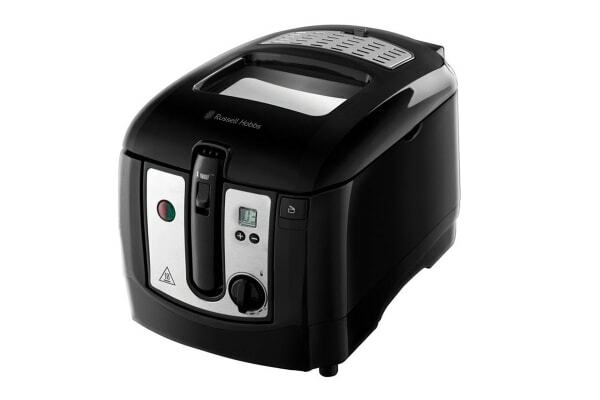 For ease of use, it has an easy control rise and fall basket. The specially designed basket lifting mechanism ensures to access the food easily and safely. It has been designed with a large observation window to help checking on the food whilst frying without having to open the lid. After use, the coated non-stick bowl and removable lid makes cleaning easy.